It’s been pretty hot outside lately, and cooking with the stove or oven can only make is worse at times. I was craving something light and refreshing, so I went with a summery vegetable “pasta” – mimicking the spaghetti with squash and zucchini ribbons instead. It was really good! I loved the veggie pasta, it was satisfying without having all the extra carbs. This is a gluten free meal, and can also be a raw meal if you don’t blanch the vegetables at all! 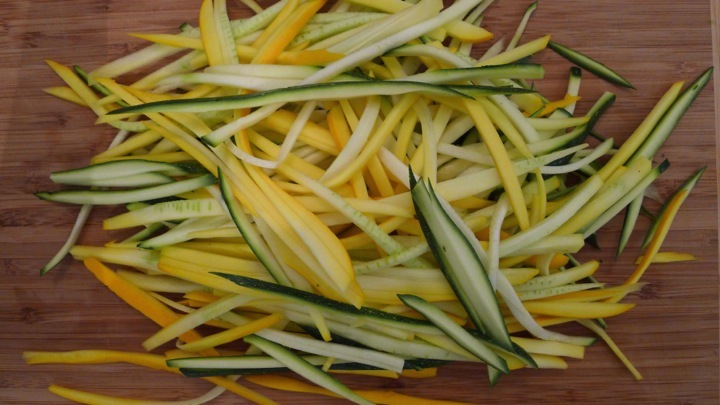 Start by slicing the squash and zucchini into thin long strips so they almost resemble spaghetti. Set aside. Next make the pesto. Add the basil, cress, lemon, garlic scape, Parmesan cheese, nuts, olive oil and some pepper to a food processor. Blend well, adding bits of water as needed to get a smooth consistency. Set aside. 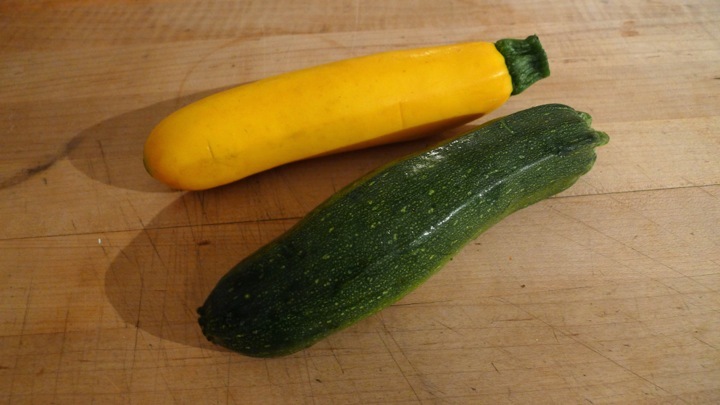 In a pot of boiling water, blanch the zucchini and squash for about 1 minute until soft. Strain the water and add the squash/zucchini back to the pot along with the pesto. I like to add a few scoops at a time until I have the amount of sauce that I like. 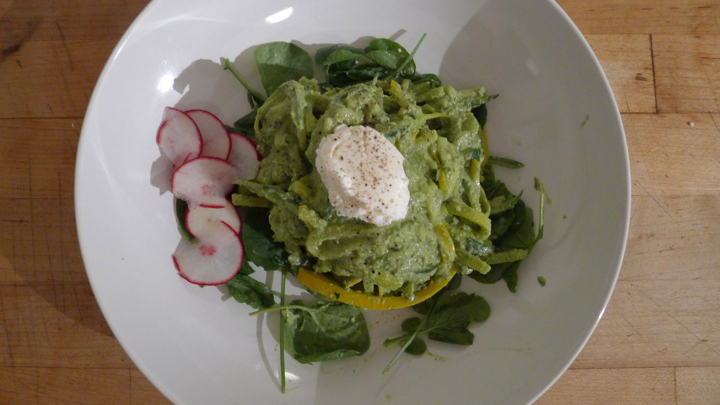 Plate the “pasta” and top with a small dollop of ricotta cheese and fresh radishes!